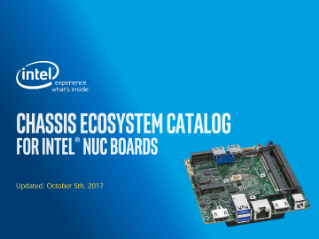 Provides the technical specifications for the Intel® NUC ecosystem, including specs for tested hardware, design-ready and design-in-progress chassis, and peripherals. Dmitry Novoselov of Hardware Canucks shares his full experience with this tiny PC for light productivity, gaming, and more. Unleash maximum performance with the new Intel® NUC as your workstation, gaming machine, or high-end HTPC.